The search engines just announced Schema.org to standardize the way the webmasters can enrich their content with structured metadata. 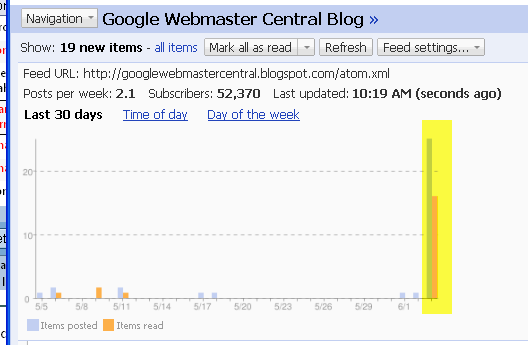 I was looking foward to read all about it on the Google Webmaster Central Blog. So, naturally, I logged into Google Reader to look for a post. The first thing that seemed weird was that all of a sudden the blog had 20+ new items. That never happens. GWC is a blog that normally posts a 1-2 times per week, not much more than that. After clicking on the feed, I was presented with a large photo of some woman. I thought is this a joke? Anyway, I kept navigating through the posts and they were all large, well taken photos. As you can see, something went terribly wrong here. It turns out that the feed seems come from a photgrapher named Joe Hewes. Looking at his blog, you can see that he uses Blogger as his platform. 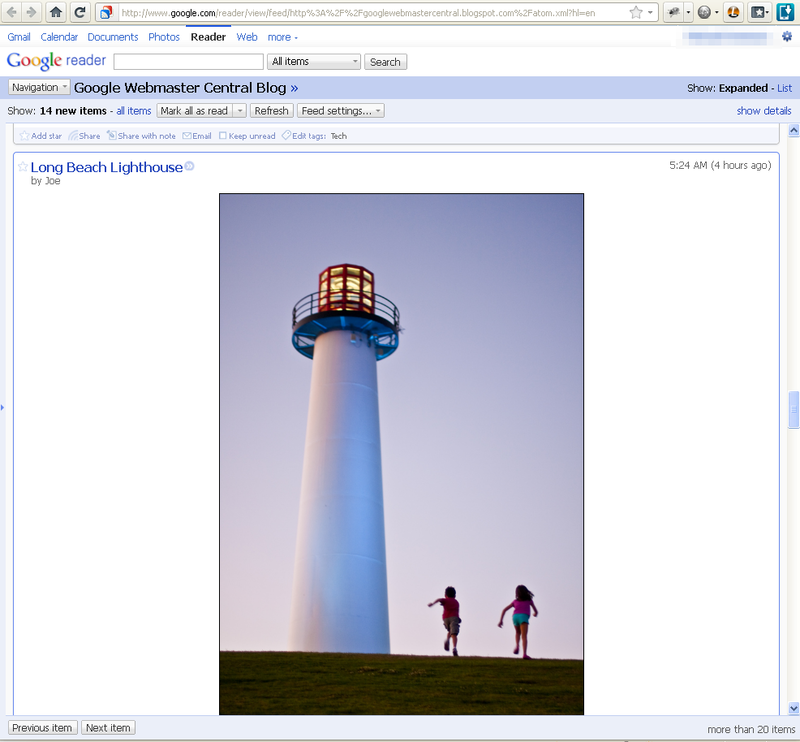 My guess is that this was not a hack but a bug/error in Blogger. The actual GWC blog website has only its original (non photog) content. If it were a hack, GWC would likely have had its content changed as well. Well, hopefully Joe likes getting a bit more exposure of his work to the tech community. As for Google, I hope this is not a sign of more problems with quality to come.